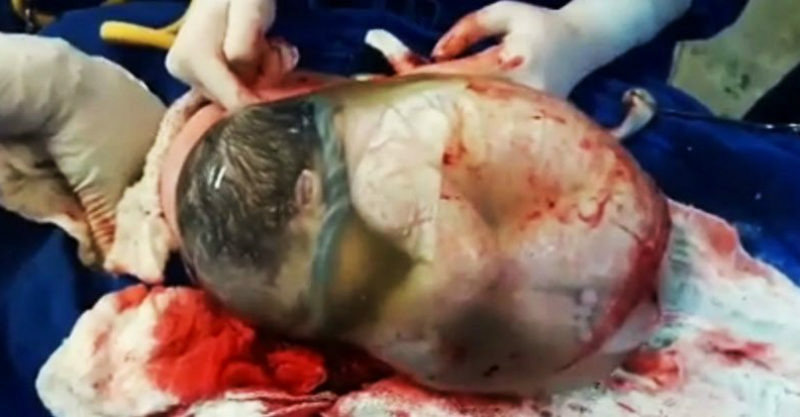 These stunning videos capture rare and incredible ‘en caul’ births – where the infant is born inside the entire amniotic sac. They occur in fewer than 1 in 80,000 births and the sight of these newborns perfectly contained in their unbroken membranes is nothing short of mesmerising. We thank these amazing parents for sharing their incredible footage with the world. You can actually see this little baby’s hands moving around inside the sac as they’re being delivered. Here you can see the placenta located at the back of the sac. Remarkable. Watch as the doctor ruptures the membrane and the baby emerges. A detailed view of the baby and his umbilical cord, coiled inside the sac, moments before entering the world. Even doctors get excited during these special births. What a privilege to see these rare and beautiful moments! Have you or anyone you know had a birth en caul?